Discover two cities in Rajasthan that are culturally significant—Kumbhalgarh and Ranakpur—on a private day trip from Udaipur. 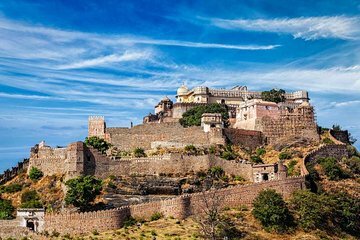 Kumbhalgarh is home to a grand fort that played a crucial role during the Mewar rule while Ranakpur is famous for its many elaborately designed Jain temples. This tour is a great way to gain in-depth knowledge about the region and go beyond the typical tourist spots in Rajasthan.